HOUSTON (KTRK) -- Jury deliberations are underway in a trial over Houston's controversial equal rights ordinance. At issue is whether thousands of signatures on a petition to put the ordinance up for a vote on a public ballot were legitimate or not. City Council passed the ordinance in May 2014 by a vote of 11 to 6. Almost immediately opponents of the ordinance began circulating a petition to put the measure on the ballot. Petitioners claim they had in excess of 54,000 signatures, more than three times the number needed. The city cleaned the vast majority of those signatures were duplicates or forgeries and did not count. The city attorney ruled the petition failed. 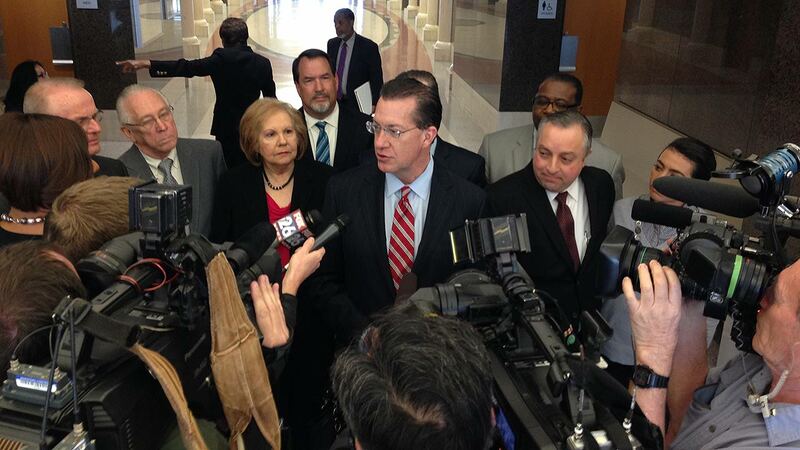 Local attorney Jared Woodfill, former Harris County Republican chair, filed suit. He wants a jury to decide whether or not those signatures were legitimate. If they were he wants to measure repealed by city Council or put up for a vote. Further complicating the case are the actions of Houston's former city attorney, David Feldman. His office subpoenaed the sermons of several local pastors as a part of the case. Then in late 2014, he resigned, indicating it would be easier for him to testify at trial if he were no longer the city's attorney. The trial could take between two weeks in the month, as chores sift through the thousands of documents associated with the case.